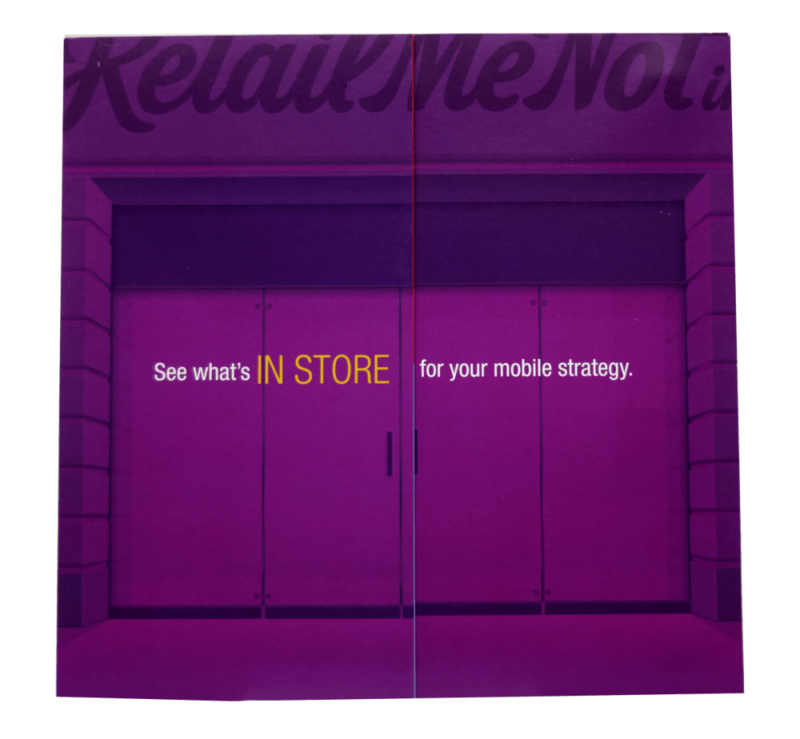 Helping businesses bridge the mobile-to-store gap is one of the core strategies of the digital promotions marketplace, RetailMeNot. In developing a direct mail campaign targeting key channel partners, RetailMeNot wanted a piece that highlighted its innovative methods, cut through the clutter and engaged with its target audience. 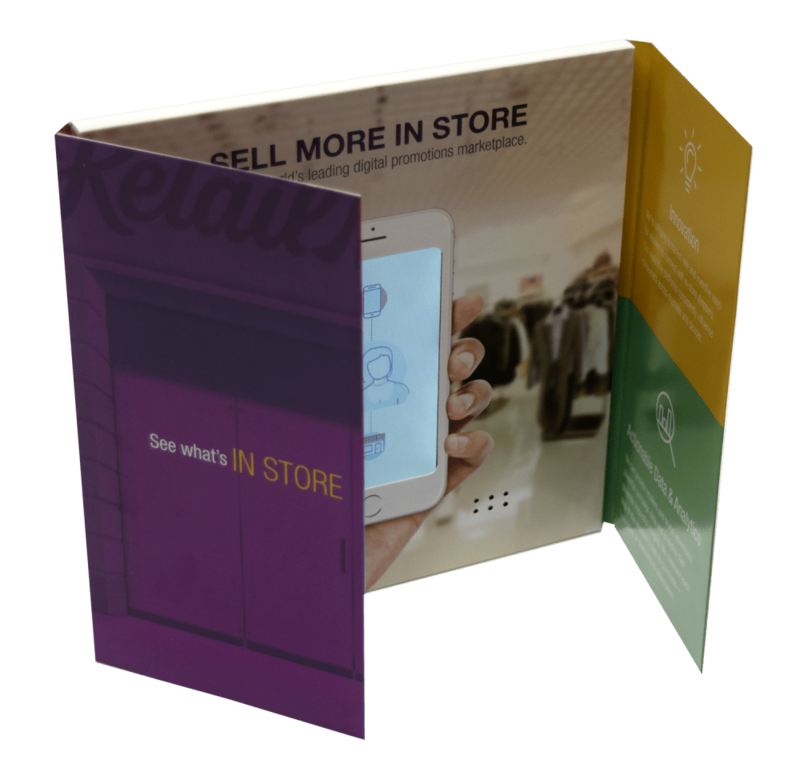 Americhip’s team of electronics and packaging engineers designed a clever gatefold brochure with a magnet closure to keep the unit secure. The folds open to reveal an iPhone embedded in the unit…but wait, it’s not an iPhone! It’s Americhip’s proprietary VIP Screen mounted vertically to perfectly mimic the iconic phone. 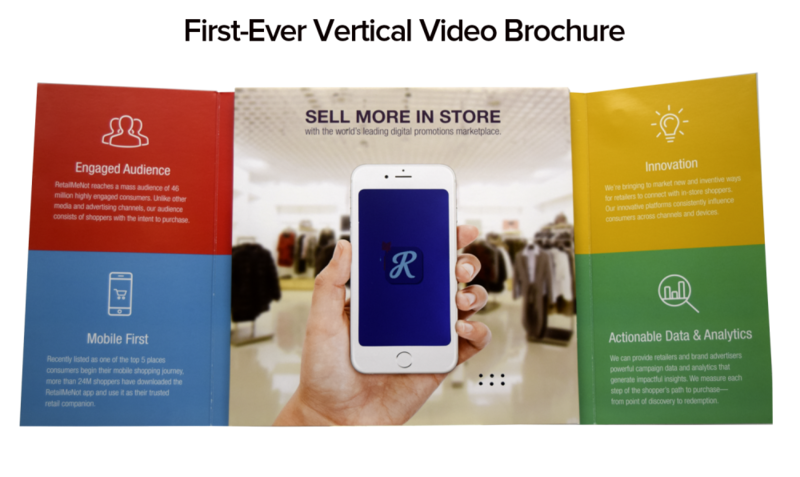 Recipients are immediately engaged as they realize the image is not a phone but Americhip’s Video Brochure highlighting RetailMeNot’s unique mobile programs. The video brochure’s inside cover panels highlight additional program details that reinforce the video story. Tell your mobile story with Americhip’s patented Video in Print technology. The RetailMeNot team received such strong response from its initial mailing that it reordered the campaign 6 weeks after its initial order.